We met Anthony Bourdain on foreign territory. Through 12 seasons of Parts Unknown, we watched as he sauntered, fearlessly, into the heart or India's Punjab, the center of Russia's Sochi, the wild brushlands of Tanzania. Now, we get something different: we see Bourdain at home. 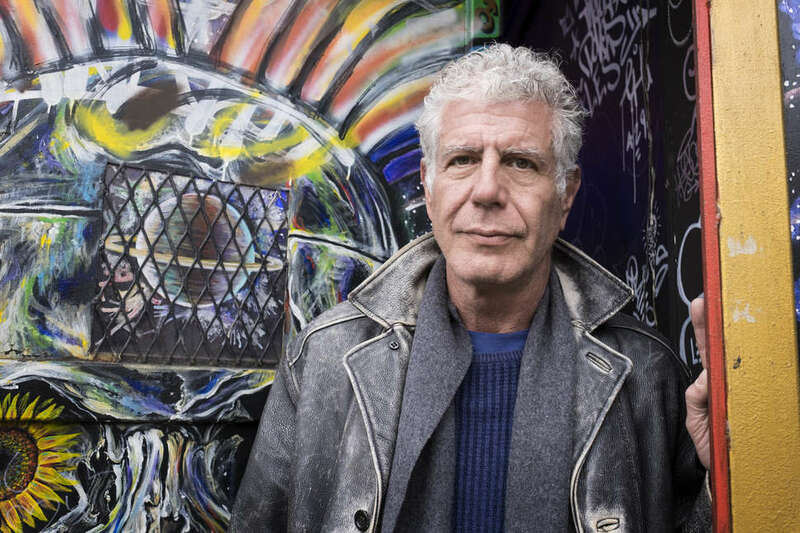 The final episode of the food and travel show will air on CNN this Sunday, November 11 at 9pm ET, five months after Bourdain took his own life. And the last thing he gives us is a love letter to New York City's Lower East Side. This particular stretch of downtown Manhattan has long had a reputation for grit and glamour. Before rents skyrocketed and Whole Foods edged its way in, it was a hub for living, working artists in their stiff leather jackets and their equally impoverished counterparts. This is where Bourdain earned his first NYC restaurant job. At the start of it all, these were his stomping grounds. And as he laments openly, it's no longer the place it once was. New York back then is indefinitely cooler than New York now. Each of Bourdain's carefully selected guests in this episode was a figure of import during his youth. These are the musicians, the actors, the artists, and the filmmakers who made downtown Manhattan into the furious nucleus of desperate art and culture that it once was. Like Bourdain, these are New York legends. He eats with Debbie Harry and Chris Stein of Blondie, and Harley Flanagan of the Cro-Mags. He sits with hip-hop icon, Fab Five Freddy and urban photographer, Clayton Patterson. The list goes on, rife with celebrities who meant something to Bourdain as he was coming of age. At the height of their careers, he was thrashing about at CBGB's, inhaling dollar pizza at sunrise, and subsisting on a steady heroin regimen. In this episode, alone, he lets us in. It's not rare to see Bourdain flash some element of vulnerability -- some willingness to communicate -- towards a rolling camera. But this is different. This cuts deeper. New York is reliable only in its commitment to change. But what Bourdain gave us, in this last installment, is a fixed picture of what the Lower East Side once was -- or rather, what it was to him. We can't have him back, nor can we re-enter the burned-out Manhattan of the '80s and '90s. Instead, we get this one last, remarkable snapshot of both: the Lower East Side -- home -- according to Bourdain.